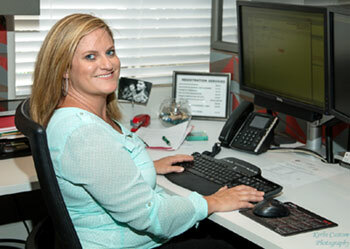 Brooke is a long-time member of the PVI team, having joined us in 2005. She earned her California Property and Casualty License in March of 2000. As Personal Lines Account Manager, Brooke has the opportunity to utilize her vast knowledge of the insurance business, in general, and of the fifty carriers, in particular, with which PVI is affiliated. What this means to you is that you have the best qualified person in your court looking out for you. Have a home that's difficult to insure, such as a high-brush zone or previous claims? Just call Brooke! She specializes in these areas of need and puts the "personal" in Personal Lines. One of the advantages of being at PVI so long is that Brooke has been able to build lasting relationships with our customers over the years. She says, "It gives you a true sense of what community feels like. You get waves from people you pass on the street!" Her favorite part of her job is working directly with her neighbors, which also includes our Spanish-speaking neighbors since Brooke is bilingual. 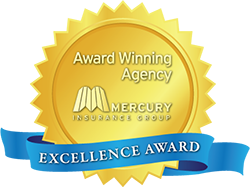 Brooke continually receives outstanding testimonials and has established her reputation for diligence in not only shopping the best insurance coverage based on individual needs and preferences, but on her follow through as well. She doesn't stop once the sell is made, but becomes your go-to person along the way. As she says, "Obstacles are what you see when you take your eyes off the goal." As successful and accomplished as Brooke is at PVI, she is not all work. She is devoted to her family, which includes her husband of thirteen years, Mitch, and their three children: Aria, 21; Luke, 11; and Kaine, 10. Rounding out the family is their dog, Zeeba, and their cat, Midnight. Brooke loves spending time with her family and friends, and much of that time is spent outdoors, where she enjoys hiking and is an avid off roader. She participates in all off-roading activities, including UTVs and motorcycles. She also makes time for cooking, painting and nurturing her special succulent garden! Sports also play an important part in Brooke's life and she is a life-long San Diego Chargers fan as well as a fan of the San Diego Padres. The Valley Center Avengers can also count themselves among her favorite teams! The Dunn's have made their home in Valley Center for the past twelve years. Prior to that, Brooke was an Escondido resident for 24 years. Brooke says, "I love Valley Center!" Based on the wonderful feedback PVI receives on Brooke from our customers and the community, we can definitely say the feeling is mutual!